A young veteran of contemporary Italian cinema, Costanzo brings to the table his modern style of filmmaking with nostalgic echoes of Italy's Golden Age of cinema. Set in 1950s working-class Naples, the films of Vittorio De Sica instantly come to mind. 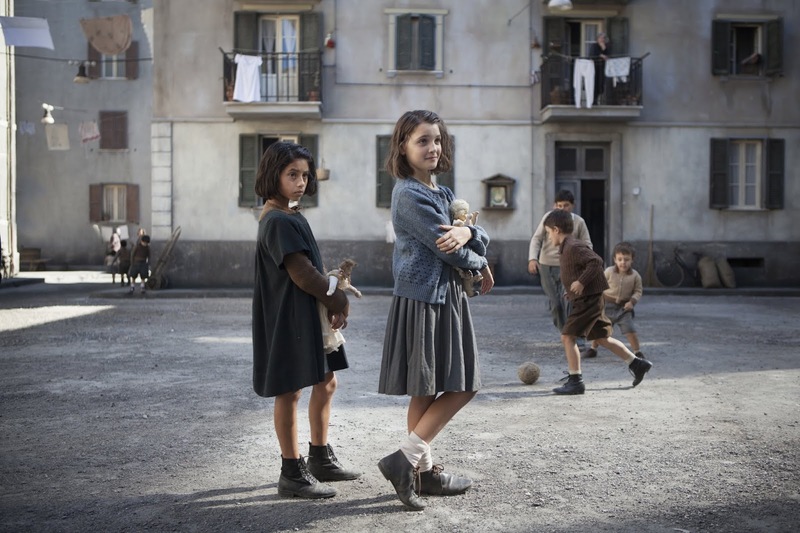 Then add the subtle yet powerful performances by its two young stars, Elisa Del Genio and Ludovica Nasti, non-professional actresses, and Costanzo endearingly, perhaps even subconsciously, pays homage to the neorealist genre that De Sica was key in creating. The development of a close friendship between Elena (Elisa Del Genio) and Lila (Ludovica Nasti) is the basis of the first episode, which introduces us to the harsh reality and flawed characters that surround them. The two girls are top in their class and while their teachers encourage their studies, the girls hesitate to embrace their intellectual gifts due to the society in which they live. Costanzo's sets are rich and sumptuous in their grey and earth tones yet ominous and creepy, giving the feeling that something bad is always waiting around the corner. He succeeded in creating an intriguing, fable-like world where fantasy and reality meet. My Brilliant Friend airs Sundays at 9pm on HBO. Click here to watch the trailer.